Based on the critically acclaimed best-selling novel Sacred Games by author Vikram Chandra, the Netflix series Sacred Games, which stars Saif Ali Khan and Nawazzudin Siddiqui will premiere on July 6, 2018 in all territories where Netflix is available. Directed by Anurag Kashyap and Vikramaditya Motwane, the bi-lingual (Hindi and English) series also stars Radhika Apte. A joint production venture with Netflix and co-produced by Anurag Kashyap, Vikramaditya Motwane and Madhu Mantena of Phantom Films, Sacred Games is an epic masterwork of exceptional richness and power that interweaves the lives of the privileged, the famous, the wretched and the bloodthirsty. 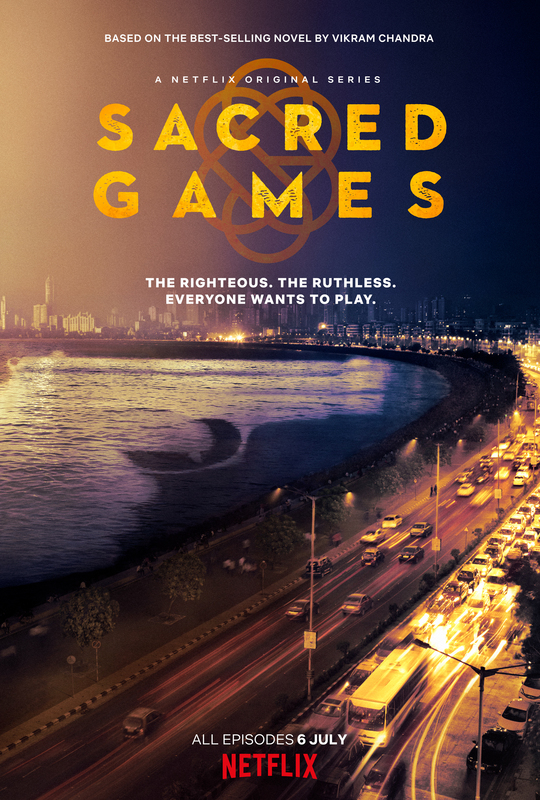 Set in Mumbai, Sacred Games delves into the city’s intricate web of organized crime, corruption, politics and espionage that lie beneath India’s economic renaissance. A policeman, a criminal overlord, a Bollywood film star, politicians, cultists, spies, and terrorists—the lives of the privileged, the famous, the wretched, and the bloodthirsty interweave with cataclysmic consequences amid the chaos of modern-day Mumbai. We have your first look at the film with this incredible teaser and brilliant poster! Intrigued and can’t wait to see more? So are we! Stay tuned for all the Sacred Games news leading up to July 6th! 15 queries in 0.412 seconds.